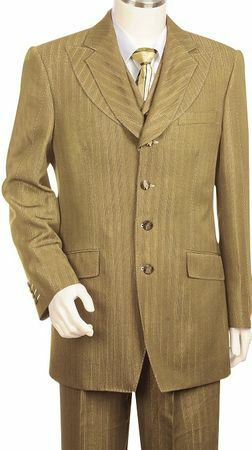 This camel 3 piece suit comes with a 4 button jacket with wide lapels and contrast stitching with matching vest with baggy wide leg pants for a really sharp and well put together look. Made of Poly/Rayon. Final Sale Only.